I am screaming, but the words evaporate as quickly as I can expel them from my mouth. I am thrashing and writhing, desperately grabbing at anyone who might be able to save me. There are so many people around me, all possible heroes, but none of them come to my aid. They all continue on with their lives – eating, sleeping, playing, working, doing whatever it was they were doing before I became imprisoned in these steel arms. Help! I scream again, pleading desperately. Listen to me! Dammit! Help me! But no one sees me. No one hears me. No one listens to me. Don’t they see me? Can’t they hear me? Why won’t they listen? I am trapped, frozen, paralyzed inside a subconscious hell. My breath catches and I let out a guttural, primal groan. After what feels like hours, but could only have been minutes or seconds, my husband shakes me awake and rescues me from my tortured slumber. He had recognized my labored breathing and knew that I was having one of my dreadful, recurring “panic dreams” during which I am unable to talk, move, or communicate in any way. Like a doll, with a frozen smile and arms akimbo, I am mute and lost in the sea of humanity. No one can hear me. No one listens. No one saves me. Perhaps my panic dreams are representative of a more pervasive fear, like most recurring dreams, I suppose. Perhaps – and here comes the big revelation you’ve been waiting for! – they are symbolic of a general fear of being unheard. To my kids, I fear that I am a white noise of reminders, admonishments, and requests that they feel free to ignore. When I write, I fear that no one is reading and that my painstakingly scribed words simply vanish into the ether. And then there is the worst fear of all – that my words (whether spoken or written) are heard, but that they are quickly dismissed as unimportant, uninteresting, forgettable. There is, I suppose, an innate need for human connection within all of us. Whether we speak verbosely or silently, whether our words are plentiful or sparse, whether we whisper or shout. We want to be seen and heard. We yearn to be recognized and acknowledged, to be saved from rejection and disregard. Our human experience seems to demand that we be seen, heard, and listened to. We want someone – anyone – to hear our cries, sense our pain, and share our dreams. So I will try to listen more closely. I will try to hear more. Because, after all, we can’t expect to get what we don’t give. Do you have any recurring dreams? When do you feel unseen or unheard? This post is part of the weekly Photo Inspiration Challenge. Special thanks to Angie McMonigal Photography for her fabulous photos. Make sure to visit her website or facebook page. I am also linking up with the Yeah Write Speakeasy for us cool cats who aren’t feeling the competitive vibe this week. There are some really great writers who blog and bloggers who write on both the Challenge grid and the Speakeasy. Check it out. I’m playing (swinging?) on the old swingset at the bottom of the hill in our yard at my childhood home. The hill was on the side of the house where I could see my and my sister’s bedroom windows and it leveled off at the bottom before the yard ended and the Woods began. In the dream I hear the trees/bushes near the edge of the yard begin to shake unnaturally, and somehow knowing there’s a Bad Thing coming for me, I leap from the swing and begin to race up the hill to the front yard, front door, and safety. It’s perhaps a classic “running in slow motion” dream, and I cannot seem to make any progress up the hill away from OMGIT’SKINGKONGCHASINGME! Or maybe Joe Young? It was the biggest ape I’ve ever ever seen, eyes bugged out, frothing at the mouth, and intent on catching (and probably eating) me. There’s never any sound in this dream, so maybe that’s my “no one can hear you scream” moment? I never make it up the hill, but I would always wake up before I’m caught. Been 10-20 years since I’ve had that dream but it’s vivid in my mind as I recall it. I wholeheartedly agree with you sweetie. I know how hard it is to not feel heard. Recently (like the last few months) I’ve learned being heard is important but listening is key. If we are all shouting to one another our voices do get lost, they do disappear in the ether. If we listen, we hear individual voices emerge. The ones that sound so much like our own. We hear that we aren’t alone. You aren’t alone. Your writing has touched me today. Oh, wow! It is comments like these that really make this blogging thing worth it. You are a darling. And you are so right – listening is key. I really, really need to work on this. Too many times my mind is busy thinking of the next thing to say that I don’t really hear what the speaker is saying. This was a great post Christie! I really enjoyed reading it, you write beautifully. Cheers! Thank you! You are such a sweetheart. Great post, Christie. Governments are toppled for just this reason. As well they should be. People are not heard. This is why relationships fail, when we are not heard. “We yearn to be recognized and acknowledged.” You are so right. It’s the barest minimum we can do for those we love, and for strangers too. Thought provoking piece, as always. Thank you, Stephanie. I always love reading your thoughtful comments. Great post! I feel like this too a lot of the time. And, hey, we’re reading so keep right on writing! Wow! Great writing!! I occasionally have dreams that are anxiety dreams but mostly mine are happy. Is it true that you have these dreams? Or is it fiction for the writing prompt. I loved reading this!! Thank you! I’m glad you enjoyed it. Yep, the dreams are very real. Fortunately, I don’t have them as often as I used to. I started my blog because I felt like I was invisible. (How many of us do that?) I felt like I was walking around and talking to people but it was all surface – no one really saw me. I totally get what you’re saying. I liked the description of being “white noise” to your kids. I hear that, even with an 18 month old! She hears me, but it’s better to pretend otherwise. As for the challenge grid, there’s a lot of pressure there. I’ve been paying attention to myself, and I read them all, but often get rushed and am too worn out for comments by the second half. Insightful comments require a little less speed. You’re doing good stuff. We hear you. I’m happy to read what you write anytime! You totally made me laugh out loud. Thank you! Thanks for reading. Love reading your stuff too. i really enjoyed this- as i usually do with your work. i hear you. 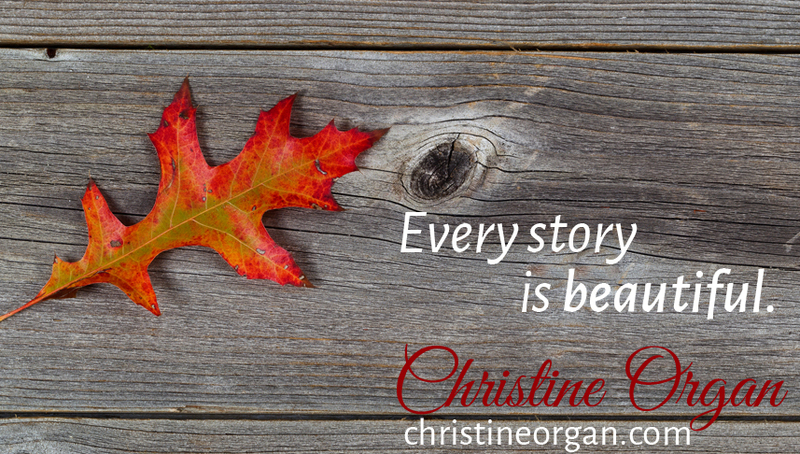 Thank you so much, Christina. I love the photo – and those kinds of dreams are terrifying. I have a claustrophobic series of dreams that freak me out. Can’t even think about them too much. Ick.